Educating home buyers, home sellers, homeowners and real estate professionals on all things real estate and mortgages! Should I Use a Realtor to Buy a House? Get expert real estate and mortgage tips straight to your inbox. Subscribe to updates from the MortgageRealty blogging community below. The most important FHA underwriting guidelines home buyers should be aware of when considering their mortgage options. It’s time to sell your house. Better get started with your plans to hold an open house to attract buyers. Right? An open house will guarantee that your house gets the best exposure to the largest pool of interested buyers... Or will it? Actionable advice that you can take to avoid ending up one of those homes that fail to sell. Do NOT let these 9 problems that kill home sales, kill yours. 7 recommended tips for the first time home seller to get the home sold and reduce headaches. By formulating a solid plan, most home sellers can see success a lot quicker and easier than anticipated. Learn the top 9 things to do after buying a house! By spending a bit of time getting these small details taken care of, you will be in a much better position to start enjoying your new home and new neighborhood. Small changes can make a large impact, especially when it comes to a home. To help you with these changes we have assembled a list of popular but simple weekend home improvement projects. 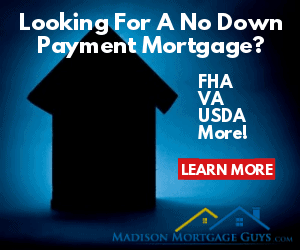 Copyright © 2019 www.RealEstateMortgageBlog.com All Rights Reserved.